Where is that good old-fashioned work ethic? Blah, blah, blah. Who wants to bring back your boss' glory days when our jobs and careers are zipping along at warp speed? We're high teching in high style. Soon driverless cars will whisk us to work and drones will deliver our Pumpkin Spice Lattes so we can survive those early morning meetings. What benefit could there possibly be in going retro? 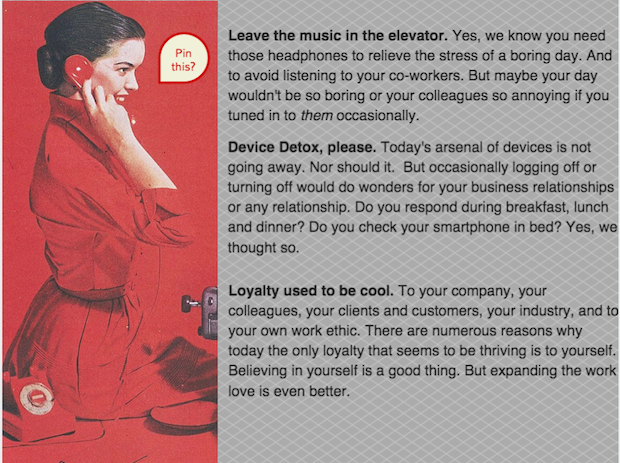 Just as many of us are taking another look at dating via an "old-fashioned" lens, today insightful managers are beginning to revisit what made yesterday's workplace effective. Are there ideas that deserve a second look? 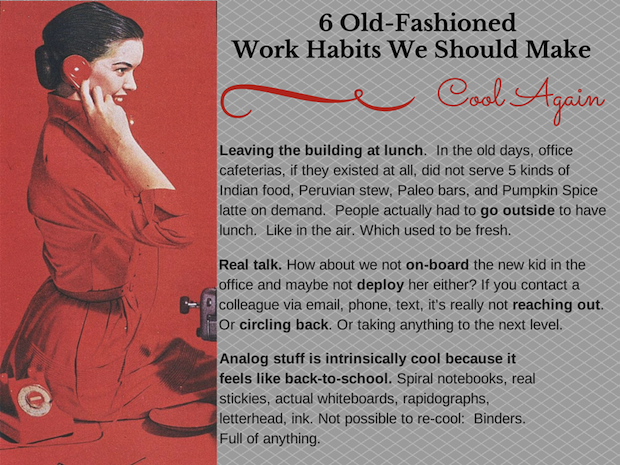 Would any of the "old-fashioned" habits listed below make your office and co-workers happier and more productive?